Combining modernity with tradition, Jean-Claude DESCOMBES’ majestic architecture will amaze you. Facing the Mont-Blanc, the two 4-storey chalets overlook 1,800sqm of ground floor. 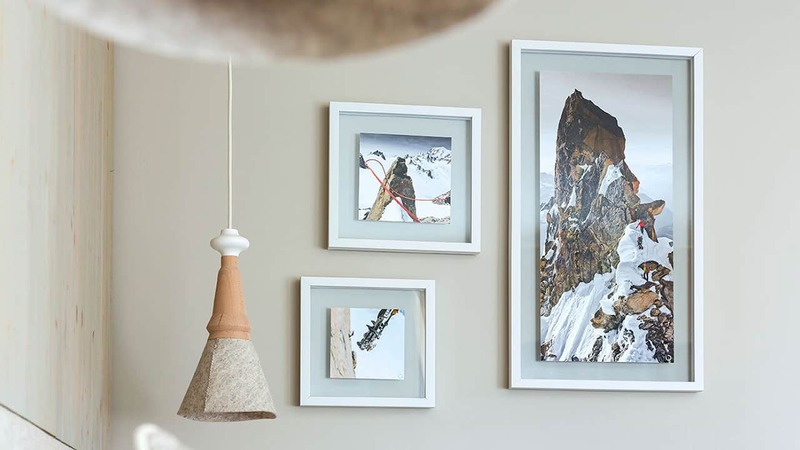 Nested at the foot of the Aiguille du Midi, the construction work was masterfully overseen by Didier PINARD with respect for both the mountains and the town centre. The personality of the design inspired by interior designer Leslie GAUTHIER has made each area unique. Stone and wood have been treated with care, the materials used are sustainable and the textures have been chosen with guest comfort in mind. In the heart of Chamonix Mont-Blanc, experience the comfortable refinement of the 4-star Heliopic Hotel & Spa as well as its high-quality services and attention to detail. 610 Route Blanche, 74400 Chamonix Mont-Blanc. SNCF TGV stations near Chamonix (Geneva & Annecy: 1h15 by car). Winter season only: TGV to Saint-Gervais-les-Bain-Le Fayet SNCF train station (15 minutes by car or 45 minutes by TER train). SNCF train station of Chamonix Mont-Blanc: Chamonix Aiguille du Midi stop (400 m away). Ouibus and Flixbus lines to Chamonix Sud – Bus Station (400 m away). Geneva Airport (1h15 by car). Private or shared transfers from the airport to the hotel available. Would you like to calculate your itinerary?